Visting Toronto on a business trip, I am happy I stumbled upon Grasslands. Woody decor, friendly staff, and 100% vegan (although, they don't advertise it anywhere). I had the "Oyster" Calamari to start and chose the "Mustard Crusted Tempeh" as a main. Both were delicious. I especially liked the sauce the oyster mushrooms came with. I will most certainly be back if i happen to visit Toronto again. 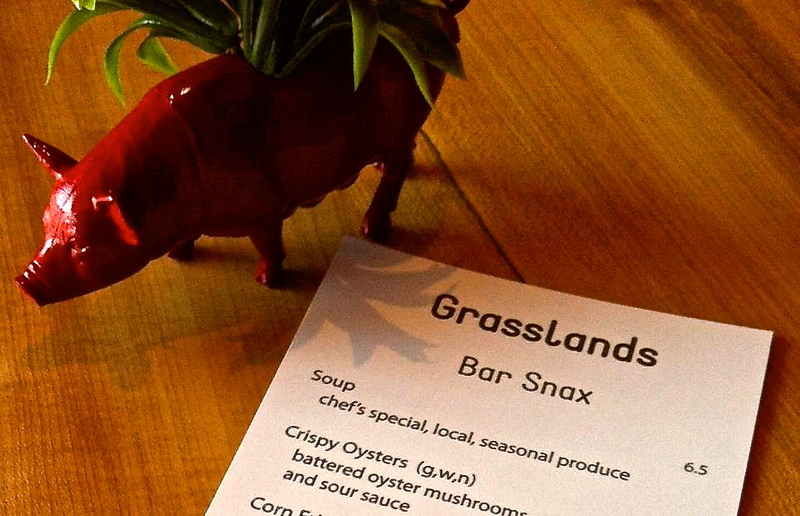 Let us know what you think about this awesome vegan friendly restaurant: Grasslands in Toronto, Canada.